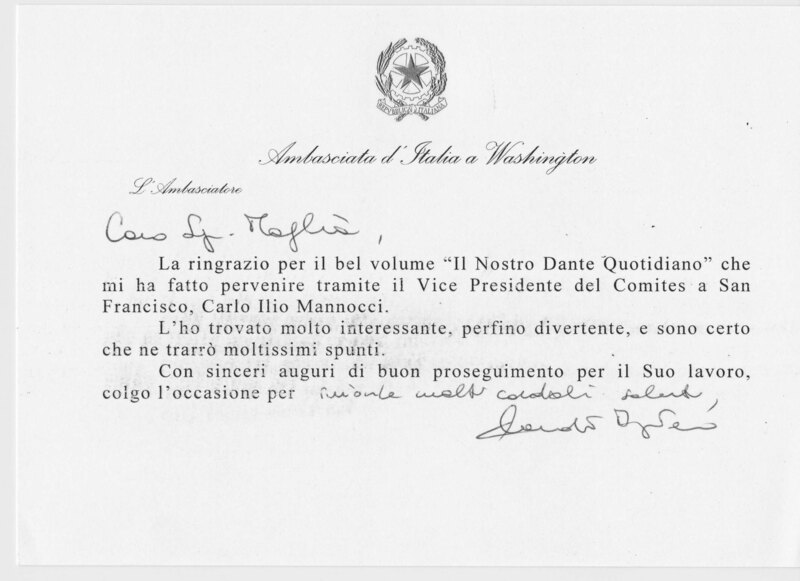 Thank you for the fine book, “Il Nostro Dante Quotidiano”, received via the Vice President of the “Comites” of San Francisco, Carlo Ilio Mannocci. I found it very interesting, and even amusing. I am sure I will derive very many ideas from it. With sincere wishes for the contiuation of your work, I take the occasion to send you my cordial salutations.